Welcome in the New Year with these Editors' Picks. Below are picks chosen by PRX editorial staff. You can find other options for the New Year by using our search. Join us for a full hour of the people, sounds, music and events, spliced together into A Shortcut Through 2018. an audio journal of the past twelve months featuring Alexandria Ocasio Cortez, Aretha Franklin, Anthony Bourdain, Barack & Michelle Obama, Bettye LaVette, Billy Graham, Brett Kavanuagh, The Black Eyed Peas, Barbara Bush, Bob Dorough, Burt Reynolds, Cardi B, Cat Power & Lana Del Rey, Charles Aznavour, Childish Gambino, Clarence Fountain & The Blind Boys of Alabama, Colin Kaepernick, Christine Blasey Ford, Cypress Hill, Dan Ingram, Dave Chapell, Dave Letterman & Jerry Seinfeld, David Hogg, Dennis Edwards & The Temptations, , Donald Trump, Eddy The Chief Clearwater, Emma Gonzalez, Ethan Hawke, Eunice Gordon & Sean Connery. Felicity Jones, Galt MacDermot, George H.W. Bush, Gerard Butler, GW Bush, Harlan Ellison, James Comey, Jimmy Kimmel, John F. Kennedy, Joe Frank, Joseph Kennedy III, Joe Rogan, John & Meghan McCain, Julius Lester, Kanye West, Kathy Bates, Kofi Annan, Kurt Vale, LeBron James, Leslie Stahl, Mac Miller, Margot Kidder & Christopher Reeves, Michael Cohen, Michelle Wolfe, Mr. Okra, Nancy Wilson, Neil Simon, Olivia Colman, Oprah Winfrey, Paul Simon, Petra Haden, Phillip Roth, Paris Hilton, Playing For Change, Rachel Maddow, Ricky Jay, Rob Schwimmer, Ruth Bader Ginsberg, Stephen Hawking, St. Vincent, The Munchkins, Tim O'Connor, Tony Joe White, Walter Matthau, Whoopie Goldberg, Winnie Mandela and Robert Leuze. Capitol Steps New Year's 2018 Edition of "Politics Takes a Holiday"
Has it been a rough year? Did you buy stock in Sears? Or invest in Ivanka’s clothing line? Did you take a job as a public relations spokesperson for Kanye West? Then you may feel the need to laugh at 2018, and the Capitol Steps could not agree more! 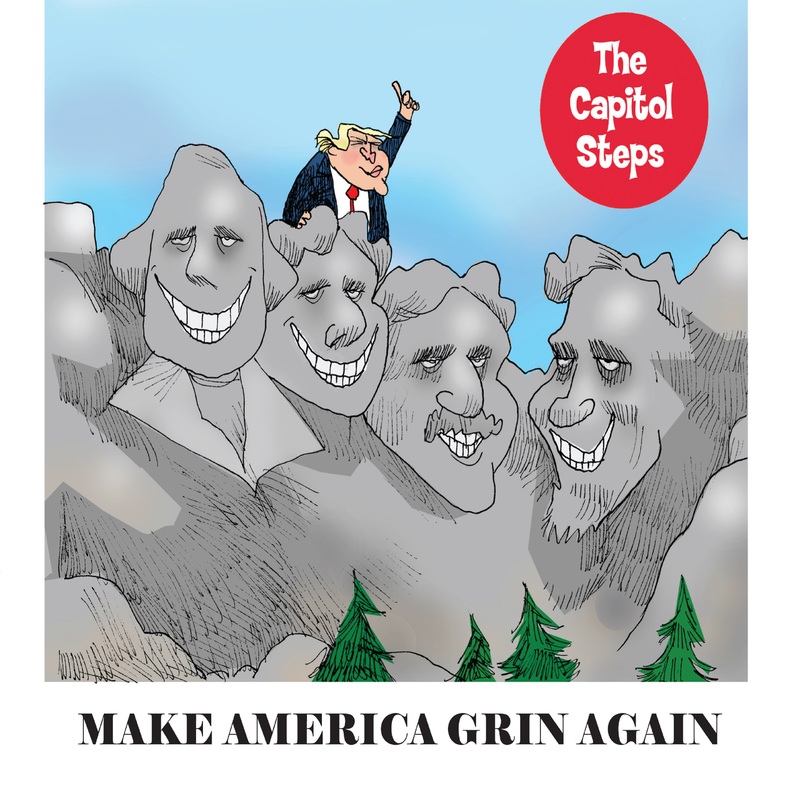 So tune in to the Capitol Steps’ New Year’s edition of “Politics Takes a Holiday,” featuring songs from their latest album, Make America Grin Again. Now is your chance to finally enjoy the headlines you were too scared to read. After all, the Capitol Steps won’t tell you any actual useful information, but they will tell you what rhymes with Beta O’Rourke and Omarosa. Has it been a rough year? Did you buy stock in Sears? Or invest in Ivanka’s clothing line? Did you take a job as a public relations spokesperson for Kanye West? Then you may feel the need to laugh at 2018, and the Capitol Steps could not agree more! So tune in to the Capitol Steps’ New Year’s edition of “Politics Takes a Holiday,” featuring songs from their latest album, Make America Grin Again. Now is your chance to finally enjoy the headlines you were too scared to read. After all, the Capitol Steps won’t tell you any actual useful information, but they will tell you what rhymes with Beta O’Rourke and Omarosa. This week, hosts Jim DeRogatis and Greg Kot share their favorite albums of 2018. They also hear picks from Sound Opinions producers and listeners. 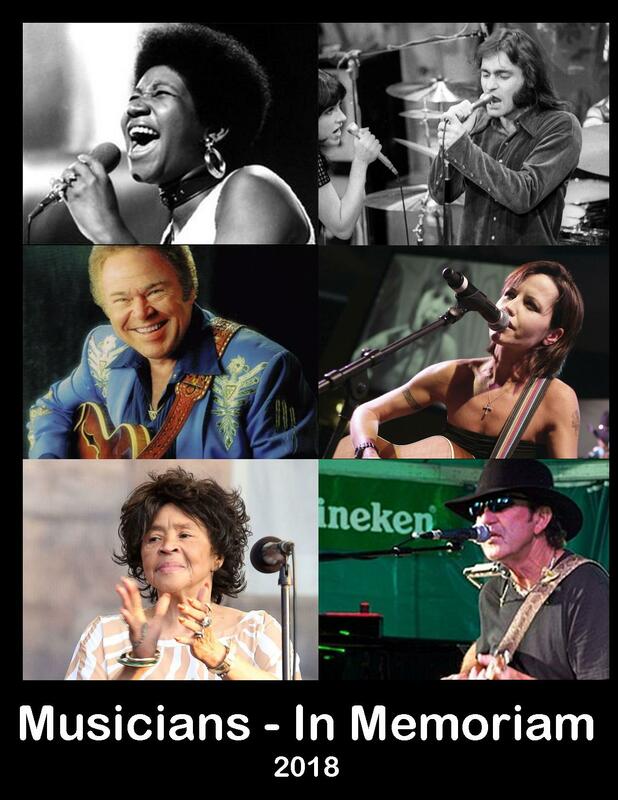 The 2018 MUSICIAN MEMORIAL SPECIAL honoring Aretha Franklin, Tony Joe White, Dolores O'Riordan, Roy Clark, Marty Balin and more who left us this year. The 2018 MUSICIAN MEMORIAL SPECIAL honors Aretha Franklin, Tony Joe White, Dolores O'Riordan, Roy Clark, Marty Balin and more who left us in 2018. Also noted, Yvonne Staples, Pete Shelley, Avicii, Mac Miller, Morgana King, Randy Weston, Otis Rush, Ed King, DJ Fontana, Geoff Emerick and Roy Hargrove. In this Humankind documentary, we hear from a growing movement of physicians and others who — concerned by the upsurge in obesity, diabetes and heart disease — are placing greater emphasis on advising patients about more healthful eating. But changing our diets is notoriously difficult, especially in a culture that heavily promotes unhealthy foods. In this one-hour Humankind documentary, we hear from the growing movement of physicians and others who — concerned by the upsurge in obesity, diabetes and heart disease — are placing greater emphasis on advising patients about more healthful eating. But changing our diets is notoriously difficult, especially in a culture that heavily promotes unhealthy foods. We examine current federal dietary recommendations that Americans significantly increase our intake of vegetables and fruits, and – particularly for men and boys – to cut back on consumption of protein. Yet, sale of meat products is setting records. And the portion sizes of entrees served in restaurants are often twice and sometimes triple what we need to satisfy hunger. According to the Centers for Disease Control and Prevention, just 1 in 10 Americans actually follows the federal health guidelines for consuming sufficient vegetables and fruits. So we’re eating too many of the unhealthful foods, and skimping on foods that provide us more nutrition and naturally occurring phytonutrients, which help to protect us from disease. We also hear in the program how nutrition education receives surprisingly short shrift in medical school. And we learn how industrial livestock production is unfriendly to the environment – producing substantial emissions of greenhouses gases (associated with climate change), as well as contaminating our drinking water. To explain this story, we hear from physicians Andrew Weil and Victoria Maizes of the University of Arizona Medical School; Scott Faber of the Environmental Working Group; Susan Roberts, professor of nutrition and psychiatry at Tufts University; Dr. Aly Cohen, an integrative physician in Princeton, N.J.; and others. An hour-long special featuring jazz music and spoken-word performances for the coming New Year from Charlie Parker, Lenny Bruce, Slim Gaillard, Ken Nordine, and more. "The New Year's Eve Jam" ushers in the coming year in radio nightclub style, with music from Slim Gaillard, Harry the Hipster Gibson, Charlie Parker, Big John Patton, and more, as well as spoken-word pieces from Ken Nordine, Lenny Bruce, and Gregory Corso... an evening for hipsters, flipsters, and time-trippin' daddies. A meditation on New Year's as a time of reflection and healing. A warm smooth-flowing mix of intriguing facts, gentle humor, and a variety of pop, soft-rock, classical, alternative, film, and show tunes, current and classic. For airing December through February. Mostly warm winter songs from Sara Bareilles, Antonio Vivaldi, Enya, Gordon Lightfoot, Sarah McLaughlin, Simon & Garfunkel, John Barry film score (not-so-warm), John Denver (cold), Frank Loesser show tunes, and many more. Guided by science and science fiction, All In Time traverses the timeless mystery of time itself. This work won a Gold World Medal for Best Sound at the New York Festivals Radio Programming Awards. This 25-minute work won the 2011 Luc Ferrari International Broadcast Arts Competition, won a 2011 Gold World Medal for Best Sound at the New York Festivals Radio Programming Awards, and was shortlisted for the 2011 Phonurgia Nova Prize. All In Time was commissioned by La Muse En Circuit in Paris (Centre National de Création Musicale), with the support of Radio Suisse Romande, Deutschlandradio Kultur, RTBF Musiq 3, Groupe de Recherches Musicales, and Radio-France. In 2011 All In Time was broadcast on Radio Suisse Romande in Switzerland; on Deutschlandradio Kultur in Germany; on Swedish Radio Channel 2; on TIK ArtRadio Days in Slovakia; on The Radius (New York), WKXR (New York), WMUA (Massachusetts), KUT (Texas), and KFAI (Minnesota) in the U.S.A.; and on over 40 radio stations around the world, thanks to the Radiophonic Creation Day Festival and the Future Places Festival. This independent production was also published on two CDs – Deep Wireless VIII and Concours d'art radiophonique Luc Ferrari: Composer Le Réel – and was featured in several online publications; including Transom.org, Public Radio Remix Blog, Third Coast International Audio Festival, Syntone, InStereoPress, Girrlsound, and Infinity's Kitchen. In 2011, All In Time was also presented in spatialized, octophonic format at the Archipel Contemporary Music Festival in Switzerland; at Festival Extension XI and the Prix Phonurgia Nova Concert in France; at Netaudio London in the U.K.; at the Ohrenhoch Sound Art Gallery in Germany; at the Deep Wireless Festival (Toronto) and Canadian Electroacoustic Community Anniversary Concert (Vancouver) in Canada; and at the PNEM Festival in The Netherlands. Written, recorded, edited and mixed by Sarah Boothroyd, special thanks are extended to physics maven Peter Watson; to antique clock collector Georges Royer; to Travis Morgan and Dokashiteru for providing Creative Commons samples; and to Himan and Melina Brown for permitting the use of CBS Radio Mystery Theatre clips. 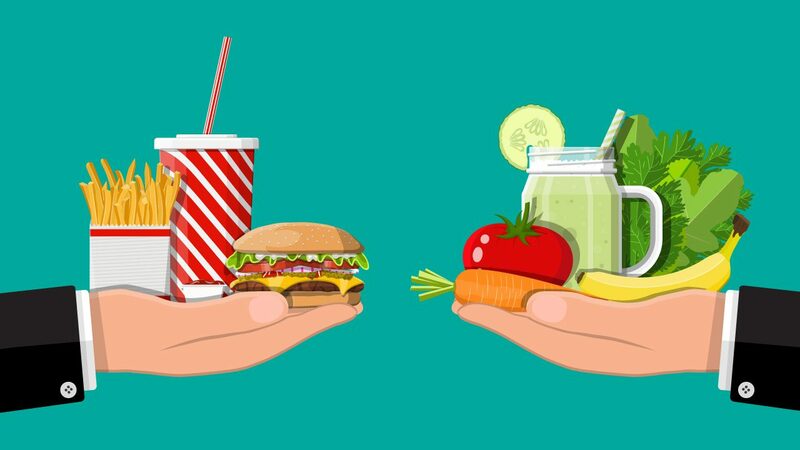 Fast food: What it is, how it is sold, and what it does to us. Fast food is what many people eat in America, and increasingly so in other countries. It is advertised to be fun, tasty and easily available. We Americans spend more money on fast food annually than on higher education. Eric Schlosser, the author of ?Fast Food Nation, the Dark Side of the All-American Meal? 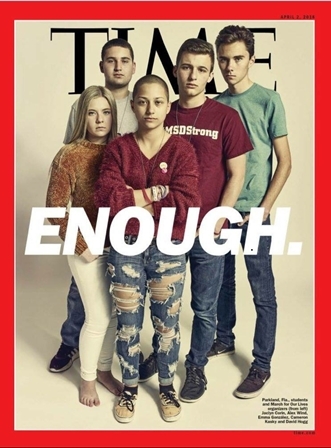 writes that it is not only what is served for human consumption that is the problem, but the art of mass marketing to children, through organized promotions and ads for it products in school buses, hallways and even bathroom stalls, have serious side effects in society. Further, the working conditions for employees of meat packing plants, and the resulting contamination of their products, resulting as of July 2002 in the recall of 19 million pounds of beef. In addition to the acute health hazard of contamination, a fast food meal often contains more fat in one meal that the average person needs in a day. This conversation with Eric Schlosser begins with his description of the problem of an excess of fat in fast food. Deirdre Imus explains the connection between household chemical cleaning agents and pediatric cancers. Part One: TOXIC LIVING: They say ?what you don?t know can?t hurt you?. While there is some truth to that, being informed allows us to make better choices. From formaldehyde to methyl-mercury to dioxins, there are a wide variety of hazardous chemicals in our furnishings, clothing, cleaning and grooming products, our food, water and air. Kathy Golden speaks with Deirdre Imus, founder of the Deirdre Imus Environmental Center for Pediatric Oncology, a foundation committed to promoting non-toxic alternatives to the more harmful products we may be using everyday. OPTIONAL CUTAWAY CUE: ?That?s 1-8-7-7 M-A-R-Y-K-N-O-L-L" at 14:00. Part Two: MERCURY RISING: Most of us have been exposed to mercury, a poisonous metallic element and neuro-toxin, in several of its various forms, either in the fish we eat or even as an ingredient in a vaccine we received. The mercury preservative in inoculations is thimerosal, and Deirdre Imus advises that parents simply request thimerosal-free vaccines. Then we talk with Nat Mund, Senior Washington Representative for the Sierra Club about the latest relaxations in emission standards for coal burning power plants and the resulting rise in environmental mercury contamination. End Cue: ?And please be sure to join us next time for more Voices of Our World.? At 28:00. Can be broadcast at 14:00 or 28:00 minutes. Format fits well into either time slot. Walt Avery is throwing a New Year's Eve party. He's invited all his friends, and expects a big crowd. Who will show up? And who won't? In this short story, we spend an evening with a man coming to terms with the death of his wife, and the choices he has made to preserve her memory. Performed by Ben Jones and Tom Ligon. Written and directed by Jonathan Mitchell. A memoir piece about overcoming depression and finding hope. "Finding My Place" is a 'This American Life" style piece, the story of a turning point in the author's life, the ties of family that bind and sometime unwind, and the humor and hope that come when one rises out of a period of depression and moves toward hope. New Year's resolution to head to the gym more often? Watch out for these people! Spin class gets personal. Our childhood memories may not always be reliable, but they have a lot to teach us about how we think, learn, and build an identity. In this episode, Gabriel Spitzer explores what science has to say about our first memories. I’m sitting at a picnic table in our screened-in porch. It’s my third birthday party, and I’m opening presents. I unwrap a Tonka truck, and drop to the floor to start playing with it. That’s been my earliest memory ever since I can, well, remember. But as the years wore on, something weird started happening. I started to feel less attached to the person in that memory. Now, I feel like I’m seeing the memory through someone else’s eyes, watching myself push that truck on the green astroturf carpet. I’m not even sure it’s a real memory anymore. This has been on my mind because my own son recently had his third birthday. It got me wondering what his first memory will be, and more broadly, what is the nature of early memories? How reliable might they be, and how important to the construction of our identities? On the latest installment of Clever Apes, we dig into what science has to say about early memory. Young kids actually have lots of memories that don’t make it into long-term storage. The phenomenon, called “childhood amnesia,” is not very well understood. But it seems to have something to do with the lens through which we see the world, and how it changes from early childhood (say, age three) to the more verbal period starting around age five or six. It’s tough to bridge that divide, and that may explain why I’m having a hard time connecting with my three-year old self. And there’s another reason: memories are made from networks of neurons in our brains. That wiring gets used for lots of things, and so with each new memory, the networks change a little. When we remember something, we effectively rewrite it. That means that in some sense, each time we reflect on a memory, we’re putting a little more distance between ourselves and the actual event. Recent research suggests we’re even doing this in our sleep. It’s enough to give a fellow a dose of existential distress. But there’s an upside too: A Chicago researcher has demonstrated ways that parents can reinforce and help solidify a child’s memories.If you listen to the show, you can hear me trying this out on my son, Ezra. I bribed him with M&Ms to get him to sit still. A lovely mission and an aspiration for the new year. One woman's philanthropic mission comes full circle. A collection of remixed "Good Morning" voicemail messages from friends all over the world. A nice way to start a morning -- or a year! A friend of mine gave me an assignment to answer my telephone at 7:30 am on December 7th. She gave my phone number to one of her writing mentors and told her to call me. My only guidelines were to answer the telephone and share something with her. So..I created a Google Voice account and asked my friends and family to leave Good Morning messages. I edited a handfull of my favorites together, mixed them with some music, and layered in a recording of my Grandfather singing one of his favorite songs. At 7:30 am I shared this piece with the stranger. She emailed me today and told me that she's taken to playing it every monring as part of her daily ritual. I took a stress test that seemed to include testing my stress level on getting to the stress test. I took a stress test that seemed to include testing my stress level on getting to the stress test. Experimental sound. Kind of annoying. Public radio! Ha! I laugh at you for that thought! Of course not Public Radio. Not unless I ran the show. Be glad I don't. For more information and conversation, visit this feature on Transom.org. Three film critics dissect how directors have twisted time. By the turn of the century the Turner household had become a kind of community social center. This program explores the texture of these gatherings. By the turn of the century the Turner household had become a kind of community social center. For parties they would hire a fiddler and Daisy would call the dances. The highlight of the evening would sometimes be a poetry recitation. This program features Daisy reciting one of these poems. What might really happen if every warrior on the planet beat his sword into a plowshare? Broadcast on WFPL, December 22, 2005. Ask the Librarian: Will green tea treat my high blood pressure? Does green tea help with high blood pressure? In libraries as in life, there are specialties and specialists of all stripes. Martha Stone is Coordinator for Reference Services at Treadwell Library at the celebrated Massachusetts General Hospital in Boston. As you might expect, given where she works, people tend to ask Martha health-related questions. Beyond dealing with the question -- will green tea help my high blood pressure? -- Martha provides insights into the uses of the web and the power of the printed word. Picked up in a previous version by WYSO. Two versions offered following Dmae Roberts' comments: Segment 1 contains music; Segment 2 is music-free. When Christmas is over, the fun is just getting started for many in Southern Appalachia. Folklorsit Jon Lohman shares the background of little-known tradition of "Breaking Up Christmas," a series of gatherings the week between Christmas and New Year's, where people get together in each other's homes and jam until the wee hours of the morning. Many generations participate, and it's a really wonderful way for the community to come together and wind down the holiday season. 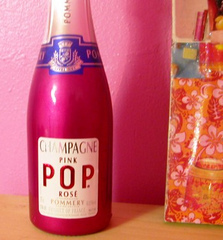 Everyone will be drinking champagne on New Year's Eve, but will everyone be opening the champagne with a sword? Learn how the French sabrage. Is Your Desk Trying to Kill You? A new study reveals that a messy desk can make you sick. Ian examines his own desk/health ratio, and reaches some conclusions.